Which skills and/or apparatus cause the most exertion-induced flatulence. Could Donnell Whittenburg be this generation’s Marian Dragulescu? Nadia, Shannon Miller, Dominique Dawes, Mary Lou Retton and Bart Conner on ABC’s Extreme Weight Loss, featuring an adult gymnast! Who’s in, out, and ones to watch at this weekend’s Secret Classic in Chicago. Jessica and Spanny share their body image struggles as adult gymnasts. We pick our Rio Olympic teams based on this year’s Secret Classic roster. The Chow-manar vs. The Raisman-manar. How will Gabby Douglas’s move to Buckeye’s with Nia Dennis benefit them both. 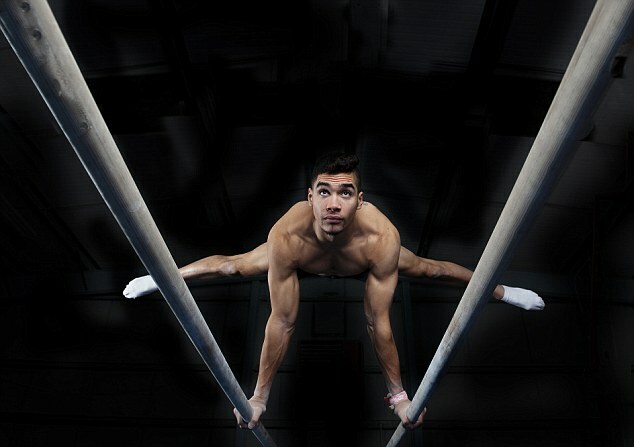 The State of Danell Leyva; training in Miami for the altitude in Colorado, don’t mix. 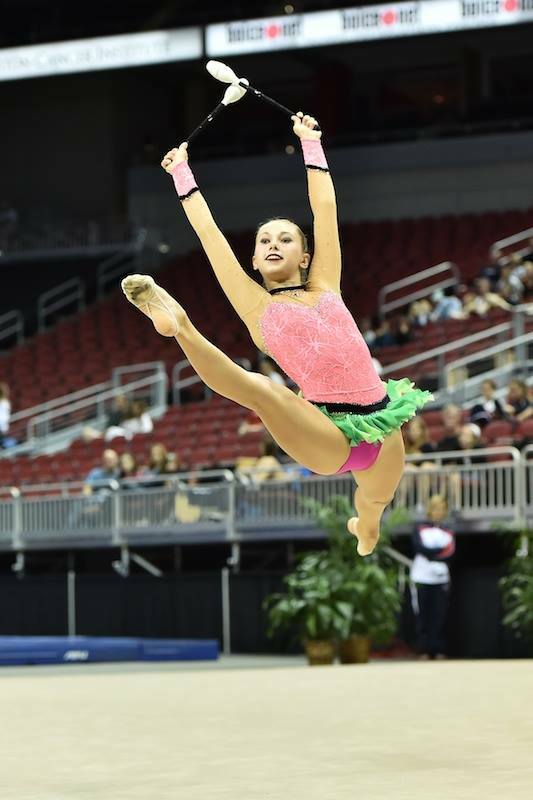 Spanny Tampson’s review of Gymnastike’s Beyond The Routine series at Texas Dreams. What goes through our minds while we watch rings routines. Can “women’s” gymnastics remain a viable sport if it can only be done at the elite level, before puberty? Beautiful Cuban gymnastics shine at the Festival Panamericano; Yesina Ferrera Nunez and Manrique Larduet. Watch ABC’s Extreme Weight Loss with obese, 44-year-old Georgeanna, who wants to get back to gymnastics here. Or watch this week’s playlist on YouTube here. 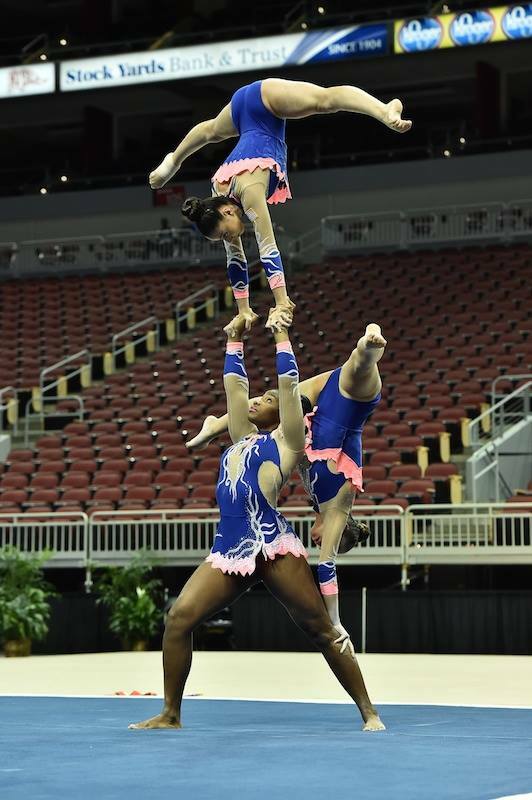 Diana Tatevossian, Donna Tatevossian, Alexandria Alaman perform at USA Championships in the sport of Acrobatic Gymnastics (formerly Sports Acro). Gabby Douglas leaves Chow’s again–where should she go now? Jessica gives us an elaborate plan for Gabby while Uncle Tim speculates about the business end of things. Then we answer your questions about men’s age limits–why did Kenzo become a world champ at 17? Do pro gymnasts delay official retirement to milk endorsements? Or are they just keeping their options open? CALLING AWESOME TYPISTS! Our transcription team serves the deaf gymnastics population by transcribing each episode with their passion for typing and gymnastics. 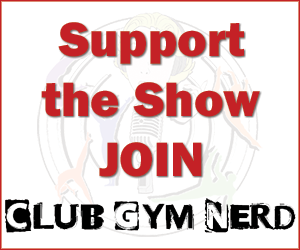 If you’d like to join Team GymCastic Transcription and help our deaf audience read each episode faster, email us at gymcastic @ gmail.com to volunteer. 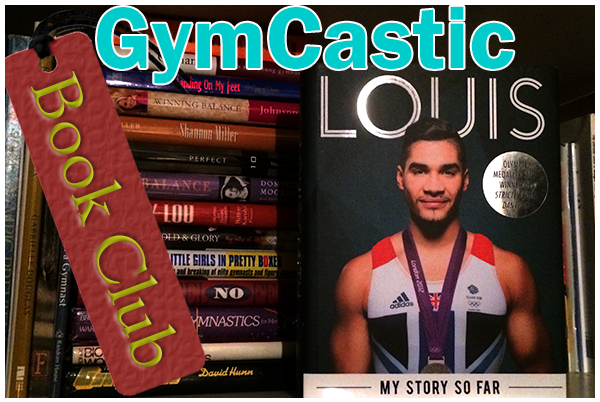 Elizabeth Grimsley writes about gymnastics over at allflippedout and tweets about it here. USA Gymnastics full gallery of great photos from USA Championships on Facebook. Episode 26.5: Jenny Hansen, Casey Jo Magee and Anna Li with an Announcement! Catherine Gonzalez and the cool green skirt. Or watch this week’s YouTube play list here. MG Elite’s Ariana Agrapides being carried on a lectica. Should athletes accept endorsement deals before they have become champions? Is Kim Jacob up to the standard of past Honda award winners? Why doesn’t the US send an artistic female gymnast to the Youth Olympic Games? Vanessa Atler interview, she’s come a long way! Wildlife in the gym: rats, June bugs, joey’s and pigeons. Insert YouTube play list here. 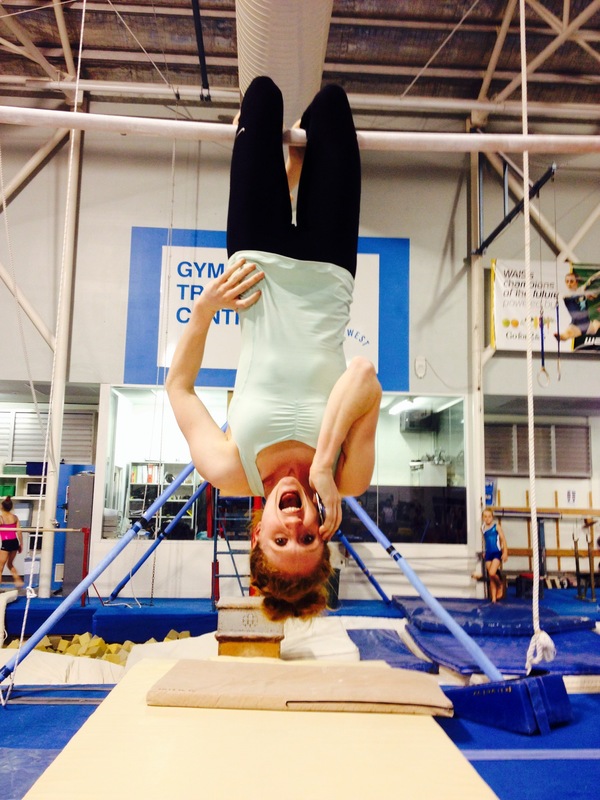 Australian Olympian, Oregon State star and Commonwealth team member, Olivia Vivian…just hanging out for a chat with us! 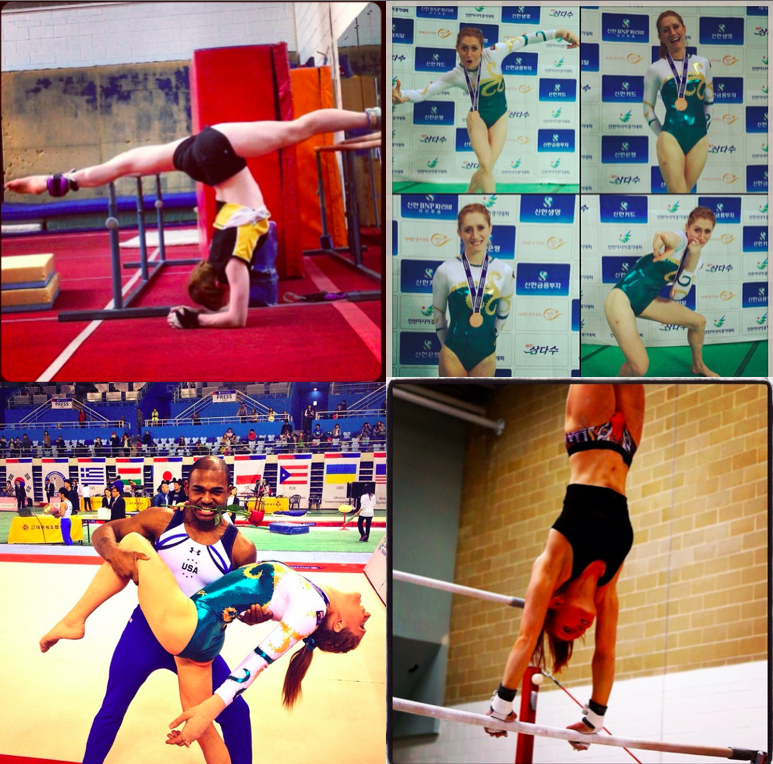 “Australian Gymnastics Jail” – her thoughts on the Australians being left at home for the Antwerp World Championships last year. Learning new techniques from coach John Carney at OSU to improve her already stellar bars. How college gymnastics in America gave her a better understanding of the competitiveness Peggy Liddick brings to the Australian program. Earning a living as an adult athlete and returning to elite training hours. The freedom and trust she experienced from her coaches as an adult elite athlete. Check out Olivia’s antics on her Twitter, Facebook, YouTube Channel or Instagram. Just some of the reasons we love Miss Vivian and her Instagram account. Or watch our YouTube playlist for Olivia Vivian’s interview here.